AP Police Recruitment 2018 Application Form Apply Online: Andhra Pradesh State Level Police Recruitment Board (APSLPRB) has announced Recruitment notification 2018 for 3137 Constable, SI, RSI, Firemen, warder, Driver posts. Aspirants interested to apply for AP Police Constable can send their online applications through AP Police Department official website, slprb.ap.gov.in. Aspirants seeking to apply for AP Constable, SI posts must have the suitable physical eligibility standards and educational qualification of Graduate Degree/12th Pass. Aspirants can download AP Police Constable, SI Official Notification 2018 PDF from the same website and observe the details before applying for the announced posts. For the understanding of aspirants here we have provided the details of AP Police Constable Eligibility criteria, selection process, application process, and other information. Today, Notification has been issued by the State Level Police Recruitment Board vide Rc.No.216/R&T/Rect.1/2018 for recruitment of the posts of SCT Sis (Civil) (Men & Women), SCT RSIs (AR) (Men & Women), SCT RSIs (APSP) (Men) in Police Department, Deputy Jailors (Men) & Deputy Jailors (Women) in Prisons and Correctional Services Department and Station Fire Officers (Men) in A.P. Fire & Emergency Services Dept. Further, a separate notification will be issued shortly for recruitment to the posts of Police Constables, Warders and Firemen. The Online Application Forms will be available as mentioned here. 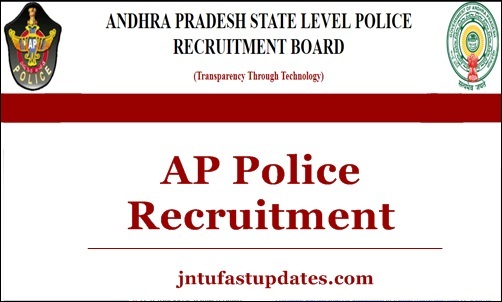 Andhra Pradesh State Level Police Recruitment Board (APSLPRB) is the state-level police recruitment board works to employ various police constable, SI, ASI, Home guard, and other department posts. Every year the APSLPRB releases various notifications to hire the suitable aspirants into various vacant positions. This year the department announced a notification for a large number of posts to hire the eligible candidates in SI, RSI, Constable, Firemen and other posts. as per the announcement, the department announced 3137 posts. Candidates from Andhra Pradesh waiting for the Police Constable SI Notification 2018 can check more details from the following. Along with the required educational qualification, aspirants must have suitable physical standards also. Applicants must be between 20 to 28 years to apply for AP Police jobs. Aspirants can check the age relaxation details from the AP Police Constable/SI/ASI notification 2018. Race: Women candidate needs to run 2.5 Kms in 16 minutes. Men have to run for 5 km within 25 minutes. Candidates selected in all the rounds of the selection process and appointed for various police jobs in the AP State will get a good pay scale of Rs.5200/- to Rs.20200/- with a Grade pay Rs. 2400/- Per Month. How to Apply For AP Police SI Constable Jobs 2018 Online? Click on AP Police Constable, SI Recruitment 2018. 1.2 How to Apply For AP Police SI Constable Jobs 2018 Online? I have lost my registration number. Can you please tell me how to get my registration number to download my SCT PCs constable hall ticket. I am completed my diploma and studying b-tech 3rd year can I eligible for the ap conistable . iam an SC candidate please reply me sir . Hi sir ex army vacancies ledha. Sub Inspector posts for Ex Serviceman any age reaction.